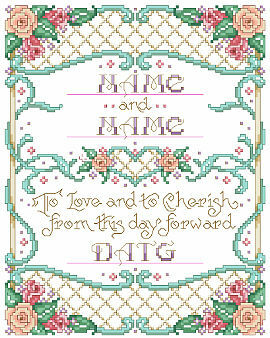 PDF Download - This lovely sampler is a perfect keepsake for the bride and groom. They will remember the special day when they committed themselves to each other in marriage. You can stitch this design and present it as an heirloom gift that will be cherished for years to come.